The eighth Indo-Singapore Joint Military Training (JMT) between Indian Air Force (IAF) and Republic of Singapore Air Force (RSAF), held annually at Air Force Station, Kalaikunda, West Bengal, concluded on Friday. The JMT earlier began on October 16. 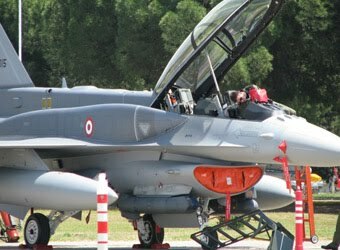 The JMT held under a bilateral agreement signed between the two countries help both Air Forces gain greater understanding of each other's concept of operations. The first JMT was held in 2006. 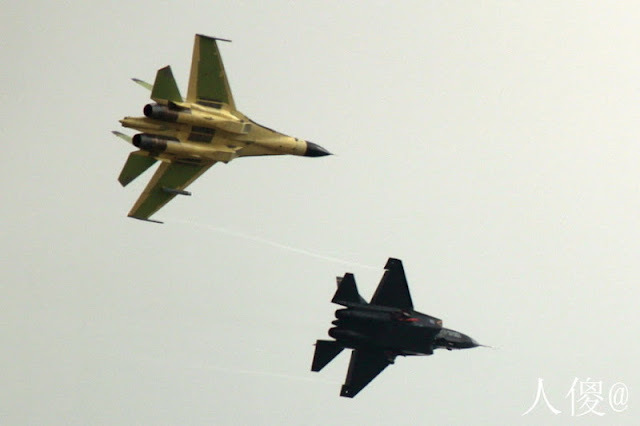 IAF Su-30 MKI and MiG-27 aircraft participated together with RSAF F-16D Block 52+ Fighting Falcons during the six week, day-night joint drills. 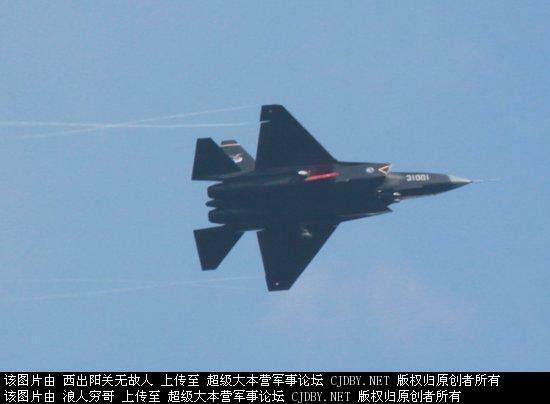 The RSAF detachment comprised 30 officers and 87 personnel. 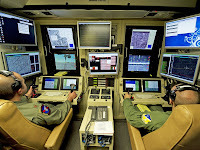 JOINT BASE CHARLESTON, S.C. -- The Indian air force has begun sending about 100 airmen to Joint Base Charleston to receive instruction from the 373rd Training Squadron Detachment 5, on how to operate the 10 C-17 Globemaster IIIs they recently purchased. 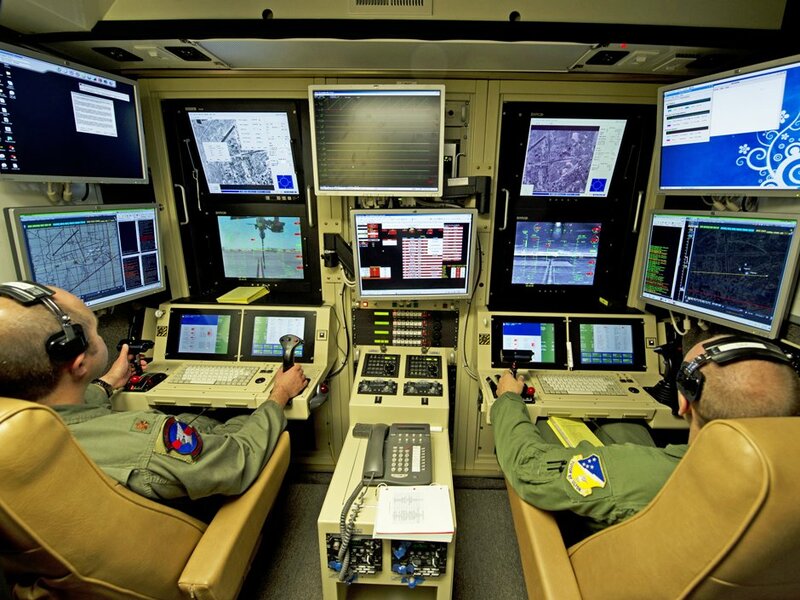 "The Indian air force purchased the C-17s and they need the training because these Indian airmen are going to be the ones standing up the initial C-17 unit (in India) and we were nominated to be the school house that teaches them," said Tech. Sgt. Paul Higgins, 373rd TRS Detachment 5 electrical environmental instructor. Germany's military, the Bundeswehr, is providing assistance to Krauss-Maffei Wegmann (KMW), the German manufacturer of the ultra-modern Leopard 2 tanks, in military tests being conducted in the Middle Eastern country. The Bundeswehr reportedly dispatched a field officer to Riyadh, the Saudi capital, where he has been assisting KMW in testing the tank's firing capabilities in the Saudi desert. The previously undisclosed information comes from a letter that Christian Schmidt, a senior official in the German Defense Ministry, sent to select members of the Bundestag, Germany's parliament. The KMW is currently testing its Leopard 2A7+ tank in desert conditions in Saudi Arabia. 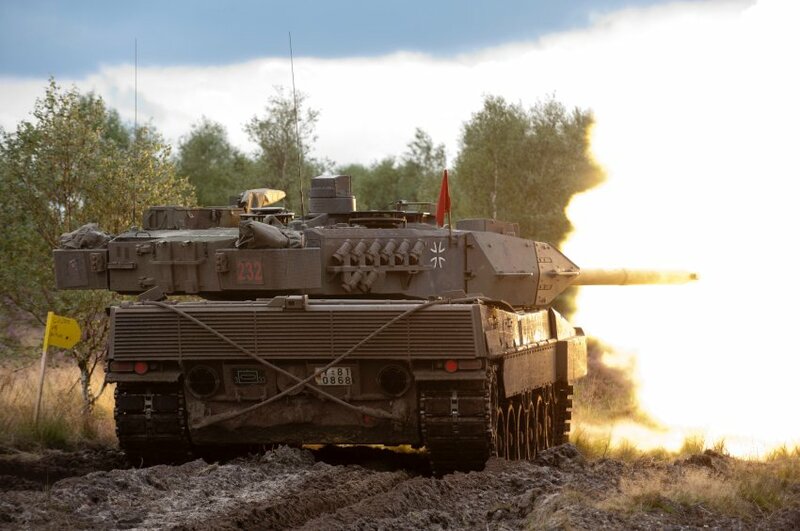 The company, Schmidt adds, had requested the support of Bundeswehr tank soldiers on this issue of "firing safety for company tests" because the company does not have its own. 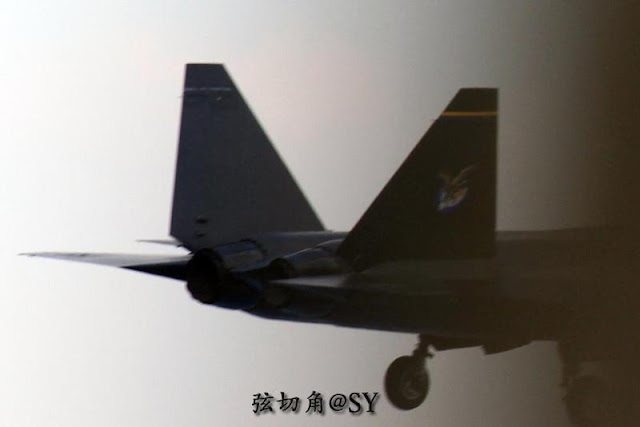 But Kopp’s assessment of the T-50 comes with caveats. Quite a few of them, actually. 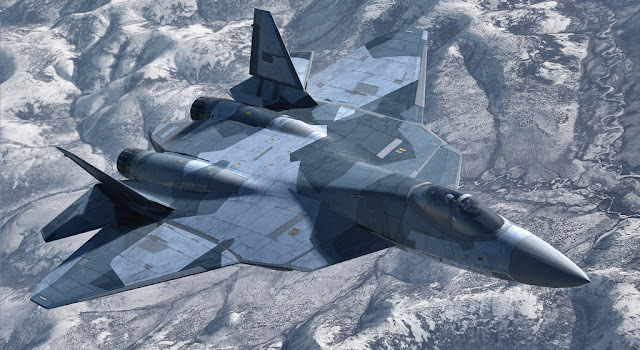 To match the stealthiness of the Lockheed Martin F-35 — to say nothing of the company’s F-22 — Sukhoi’s engineers will have to, among other changes, modify the T-50′s engines to a less obtrusive fitting and add a layer of radar-absorbing material to the plane’s skin. 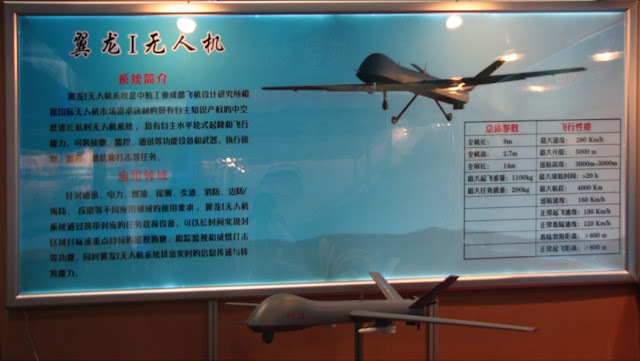 Yilong UAV copied from MQ-1 Predator part by part? 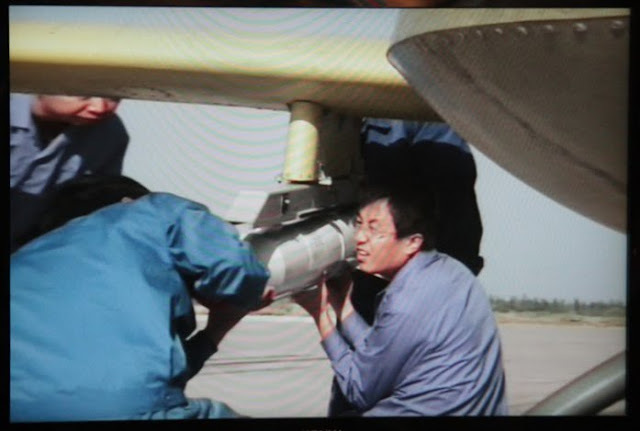 Apparently the Yilong UAV went down in China’s Hebei province where local villagers took the above photo before the military cordoned off the area. 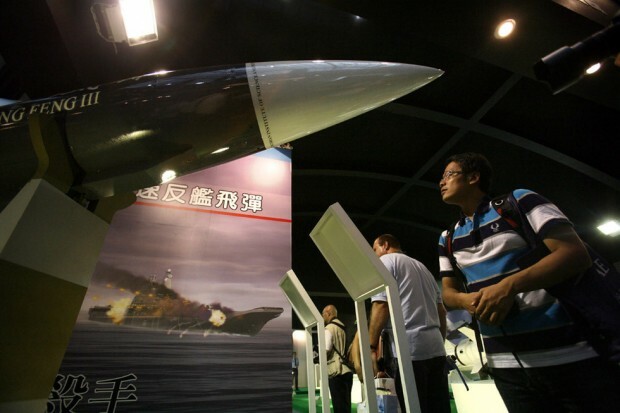 TAIPEI: Taiwan tested its longest range ship-to-ship missile within a month of China putting its first aircraft carrier into service, a report said Monday. Dubbed an “aircraft carrier killer”, the missile has a range of 400 kilometres (250 miles) and is capable of achieving Mach 3.0, or triple the speed of sound, the Taipei-based United Daily News said. “The Chung-shan Institute of Science and Technology finished a series of tests off Taiwan last month,” it said, in reference to Taiwan’s arms development unit. “No ship is capable of withstanding its high-velocity impact,” the paper quoted an unnamed military source as saying. 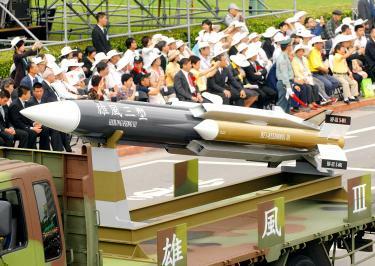 Taiwan’s defence ministry declined to comment on the report. 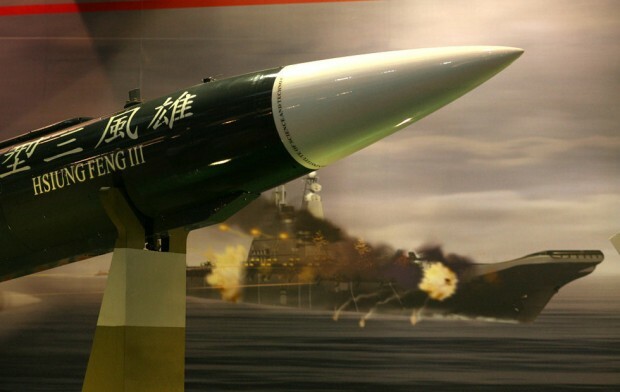 The missile was described as a long-range variant of the Hsiung Feng III, already installed on Taiwanese frigates and missile boats and designed to achieve Mach 2.0 with a range of up to 130 kilometres (80 miles). China put its first aircraft carrier, the Liaoning, into service in late September. 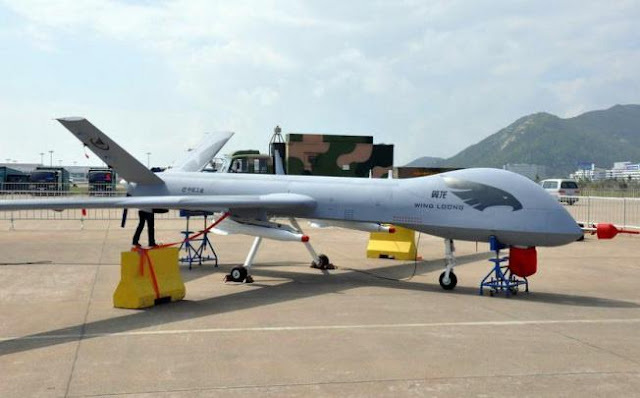 Pictures show it has having a similar configuration to the US-made MQ-9 Reaper, with a pusher engine, V-tail, long-span straight wing, and fuselage shape configured for low radar cross-section. 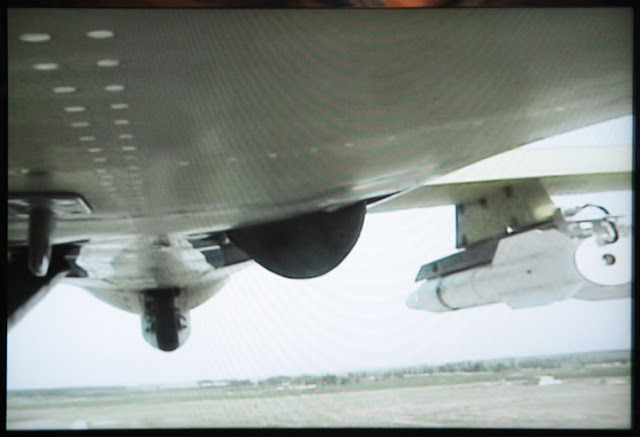 It was also shown armed with under-wing missiles, and an electro-optical sensor turret under the forward fuselage. 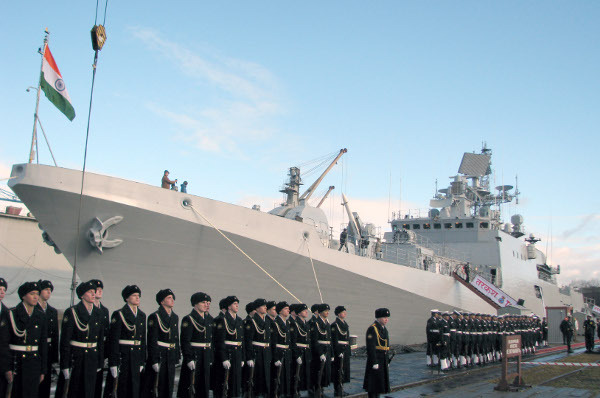 INS Tarkash, the second of the three stealth Frigates constructed at Yantar Shipyard, Kaliningrad Russia, has been commissioned and inducted into the Indian Navy by Vice Admiral Shekhar Kumar Sinha, Flag Officer Commanding-in-Chief, Western Naval Command on 09 November 2012 at Kaliningrad, Russia. 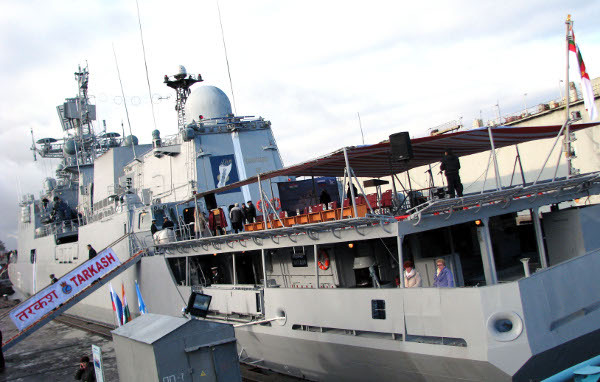 The array of weapons and sensors onboard the ship include the supersonic Brahmos missile system, advanced Surface to Air missile system, upgraded 100mm medium range gun, optically controlled 30 mm Close-in Weapon System, Torpedoes, Rocket Launchers and advanced Electronic Warfare/Communication suite. The ship is commanded by Captain Antony George, an ‘Anti Submarine Warfare’ specialist. 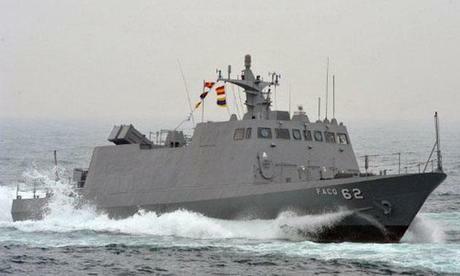 The ship will join the Western Fleet of the Indian Navy by December end, this year. 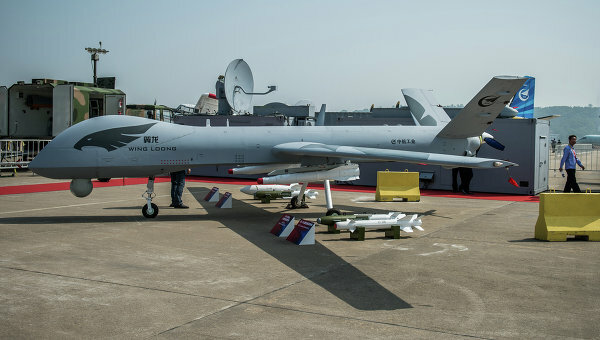 While the US Air Force's drones have been firing all sorts of air-to-surface missiles and bombs for roughly a decade now, the Navy took a big step toward getting in on the action last week when it launched six Israeli-made Spike missiles from an unmanned 36-foot motorboat. 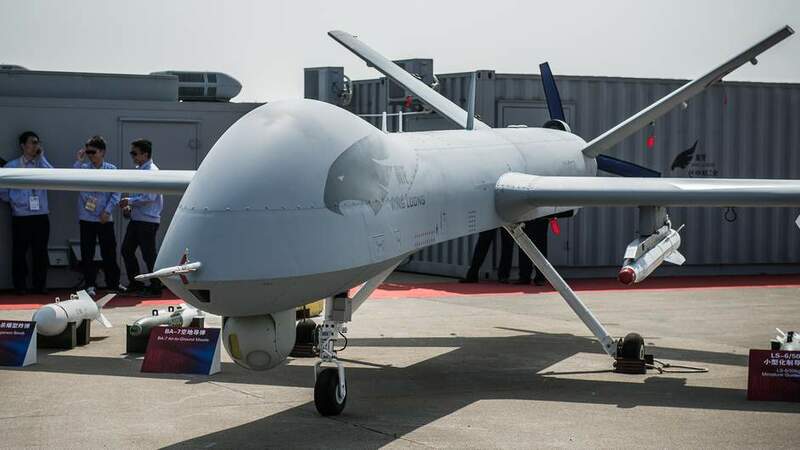 The Navy pretty much admits that the project — called the unmanned surface vehicle precision engagement module (USV PEM) — is aimed at defeating threats that are straight out of Iran's war plans for the Persian Gulf region. "The USV PEM project was developed in response to recent world events which have increased the concern over swarms of small attack craft, as well as threat assessments outlined in recent studies conducted by the Naval Warfare Development Command," said NAVSEA Naval Special Warfare Assistant Program Manager Mark Moses in a press release. 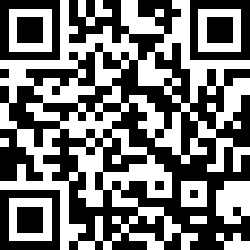 "The study punctuates the effectiveness of these swarm attacks against both military re-supply ships and naval vessels. Technology demonstrated in this project can provide a capability to combat terrorists who use small low-cost vehicles as weapons platforms." It sounds like the Navy is looking at using small fleets of these vehicles to patrol the waters around its larger vessels to shield against swarms of suicide attackers using tiny speedboats laden with explosives — a longstanding vulnerability to US ships designed to pummel large ships, aircraft, and inland targets from far away using missiles, torpedoes and large caliber cannons. How does USV PEM work? During last week's test, a crew in a control station on shore piloted the boat — similar to the way UAVs are controlled — and used its night vision and infrared cameras to find and kill targets using the missiles or a remotely controlled .50 caliber heavy machine gun that's mounted on board. 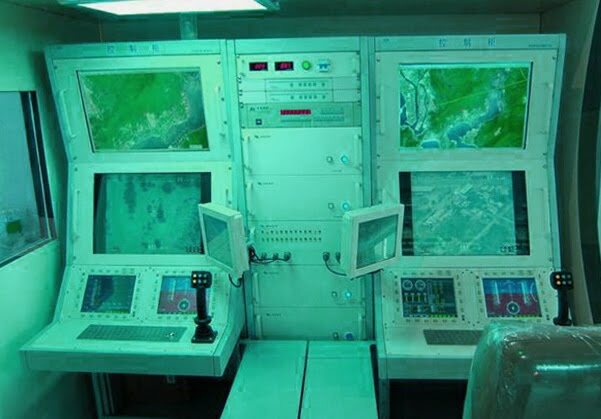 It's easy to imagine that in the future, these control stations could install aboard ships being protected by the USV PEM technology..
Oman is located on the eastern Arabian peninsula next to the UAE and Saudi Arabia, and across from Persia. It remains a very strategic country, controlling the Strait of Hormuz’ western bank, and providing an overwatch position for both the entrance to the Persian Gulf and the Indian Ocean near Africa. 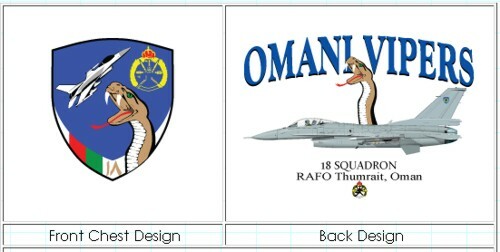 The Royal Air Force of Oman (al-Quwwat al-Jawwiya al-Sultanat Oman) currently flies 12 F-16 Block 50 fighters: 8 F-16Cs and 4 F-16Ds, whose delivery began in 2005. They complement the RAFO’s 18 Jaguar strike aircraft, and 11 single-seat subsonic Hawk 203 light fighters. 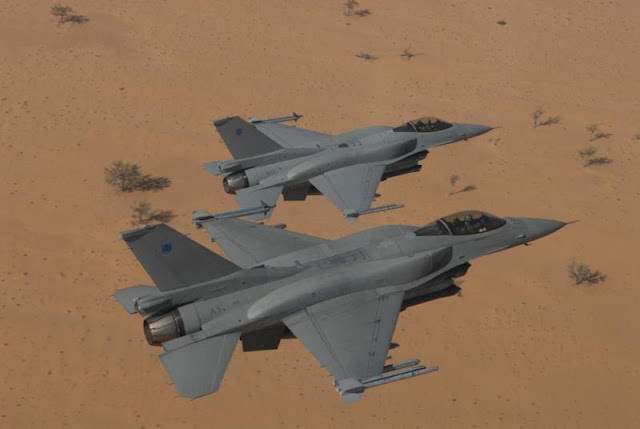 Sultan Qaboos’ air force is looking to replace its aging Jaguars, and has made inquiries about buying 4+ generation fighters like Eurofighters or even JAS-39 Gripens for this purpose. 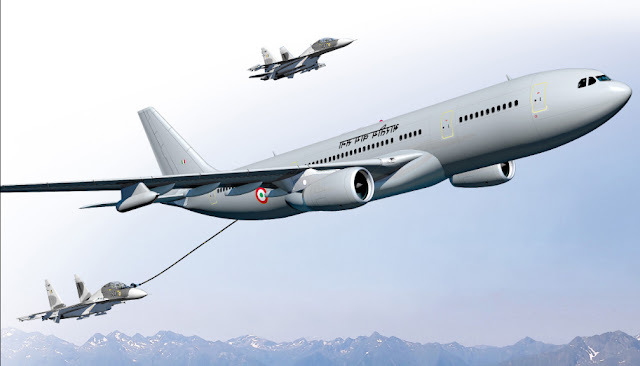 NEW DELHI — Airbus has been selected as the preferred vendor over Russia’s Ilyushin to supply six aerial tankers for the Indian Air Force in a $1 billion tender, according to Indian Defence Ministry officials. 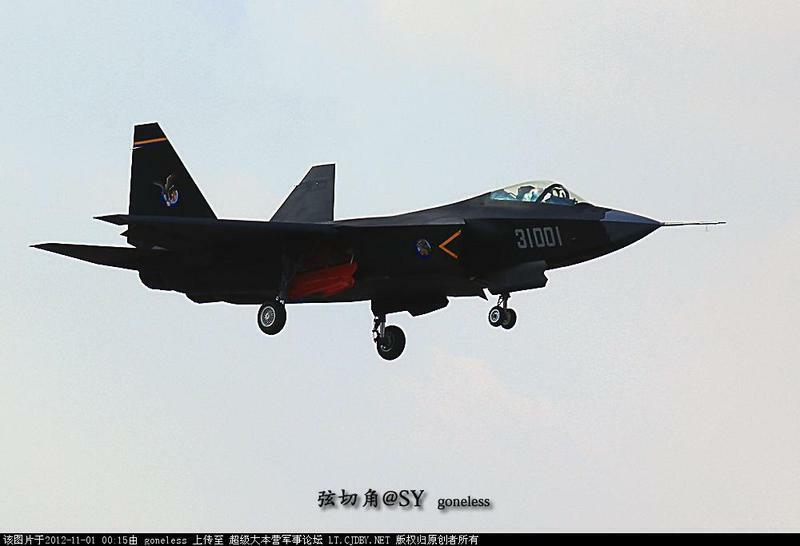 Shenyang Aircraft Corporation's stealth aircraft project J-31's prototype made its first flight yesterday - Wednesday.